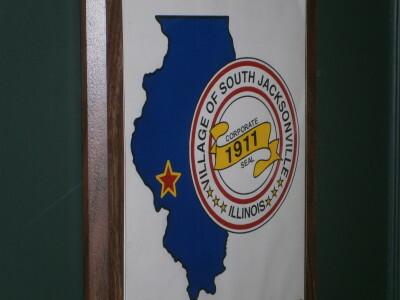 The South Jacksonville Village Board voted to terminate the contract of a Village employee last night after concerns were raised about the nature of their appointment. The majority of this meeting was held in closed session to discuss this personnel issue within the village, specifically on the employment status of William Davis. The reason Davis’ employment was being questioned was due to his relation as South Jacksonville Village President Harry Jennings’ stepfather – information which Jennings’ failed to disclose to the Board prior to hiring Davis. While the specific contents of what occurred during the closed portion of the meeting cannot be commented on by village officials, it was reported that some trustees took issue with Jennings’ failure to notify the Board of the nature of he and Davis’ relationship. Ultimately, the South Jacksonville Village board of trustees voted to terminate the impending possible employment of Davis as a code enforcement officer and building inspector. With Davis’ employment now terminated, the position of Village code enforcement officer and building inspector remains open at this time, and could be decided on at the Board’s next meeting.